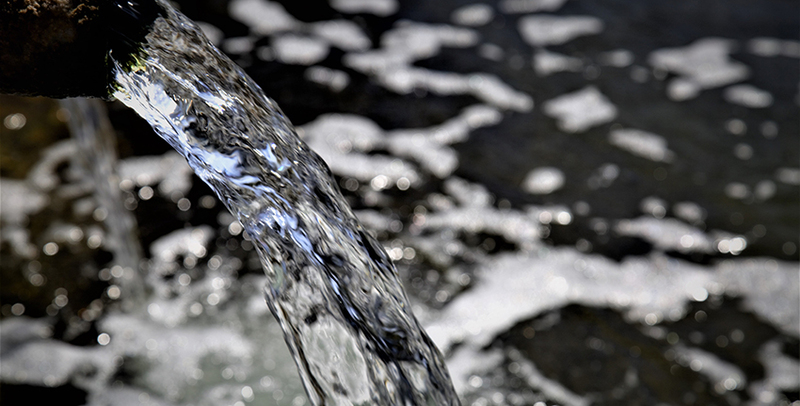 World Water Day: Wastewater or a valuable resource? Today is World Water Day and the theme for this year is “Why Wastewater”? The announcement of World Water Day defines wastewater as “water from our homes, cities, industry and agriculture flows back to nature polluting the environment and losing valuable nutrients and other recoverable materials”. Note that this is defined broader than only the wastewater from household, commonly referred to as grey and black water. At the International Center for Biosaline Agriculture (ICBA), located in Dubai UAE, we evaluate alternative water sources, including treated household wastewater, seawater, groundwater and industrial produced water for agriculture. Instead of waste products, we see this water as a ‘valuable resource’. In a region such as Middle East and North Africa where good quality water is a scarce resource, we cannot afford to dispose any type of water as waste. A traditional approach is to treat the water to obtain a high quality. Household wastewater is treated to remove any components that could negatively affect human health or the environment. However, treatment levels can vary and treated water needs to be evaluated for short- and long term effects on health and agricultural products. In 2013, this prompted ICBA to launch with its local partners an initiative called benefits and risks of using treated municipal wastewater for agriculture production. In the United Arab Emirates (UAE), the water supply from the treated municipal wastewater is about 600 MCM (Million Cubic Meters). This is 12 percent of the total water supply and all of it is treated at the tertiary level. Seawater can be treated to provide low-salinity water, which provides the urban areas in the UAE and other Gulf countries with domestic water. Saline groundwater can be treated with small-scale reverse osmosis or nano-filtration units to provide good quality water at family and farm level. Water treatment to obtain high quality water can be costly, energy consuming and provide waste products that could still impact the environment. Thus, a second approach that we evaluate is to adjust the farming system to be able to cultivate alternative crops using lower quality water. The objective is to find more salt-tolerant crops, while maintaining yield and nutritional values. This includes looking at integrated systems where aquaculture (fish farming) can be integrated to optimize nutrient recycling, or forage (grasses) and livestock combinations to create higher value agricultural products. At ICBA, we implement several approaches to these alternative sources. We implemented activities that involved the reuse of drainage water, which proved to be viable. ICBA’s research also focuses on assessing drainage water quantity and quality including the nutrition content, causes and effects, determining potential uses of this low quality resource, and how this can help to protect the environment. Furthermore, we are advancing the use of brackish water and sea water for agricultural production in arid and semi-arid regions that have access to seawater through screening, evaluating and domesticating halophytes (highly salt tolerant vegetation) for food and bioenergy. Through our research, we hope to produce a product that is economically viable and environmentally sound, thus overcoming the limiting factors to wide-scale applications. ICBA's research on halophytes extends from those that can be grown with brackish water salinity levels to halophytes that can be grown with pure sea water.